Experience the historic highlights of a Nile cruise—and more—on this guided tour from Luxor to Aswan and Abu Simbel. On day 1, see the Temple of Horus at Edfu, the Temple of Kom Ombo, Philae Temple, and the Aswan High Dam before overnighting at the Pyramisa Isis Aswan hotel. 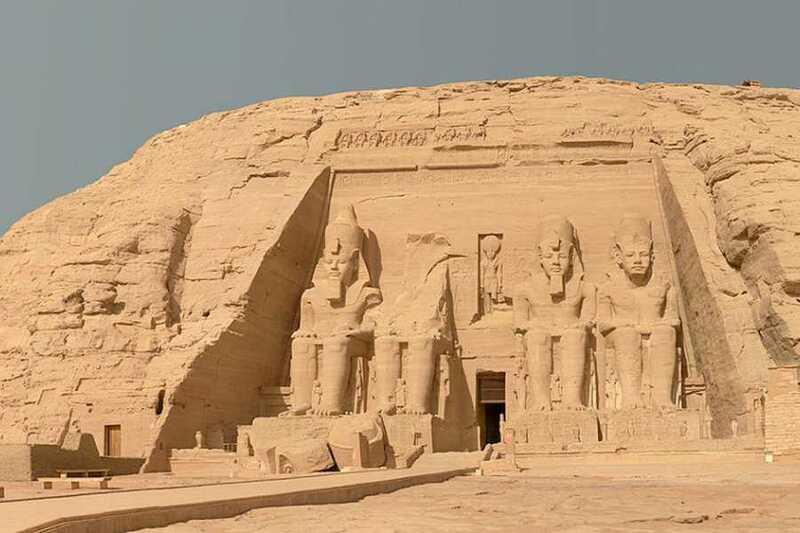 On day 2, enjoy an early breakfast and the Abu Simbel Temples. Tour includes lunch but excludes entrance fees. Day 1At 8:00 am you will be picked up from your hotel or Nile Cruise in Luxor. You will then be transferred by private a/c vehicle to Edfu City where you visit Temple of Horus in Edfu. The Temple of Edfu is an ancient Egyptian temple located on the West Bank of the Nile in the city of Edfu around an 1 hour south of Luxor, it was known in Greco-Roman times as Apollonopolis Magna, after the chief god Horus-Apollo. You will then continue drive to Kom Ombo City where you will see an unusual double temple that was built during the Ptolemaic dynasty in the Egyptian town of Kom Ombo. Some additions to it were later made during the Roman period. The building is unique because its 'double' design meant that there were courts, halls, sanctuaries and rooms duplicated for two sets of gods. End your day by visitng the High dam that was constructed in 1961 by the President of Egypt Gamal Abdel Nasar. Around 16:00 you will be transferred to Pyramisa Isis Aswan Hotel 4* overnight in Aswan. Enjoy breakfast at the hotel then at 3:30 am be picked up by your tour guide and be transferred to Abu Simbel by private A/C vehicle. 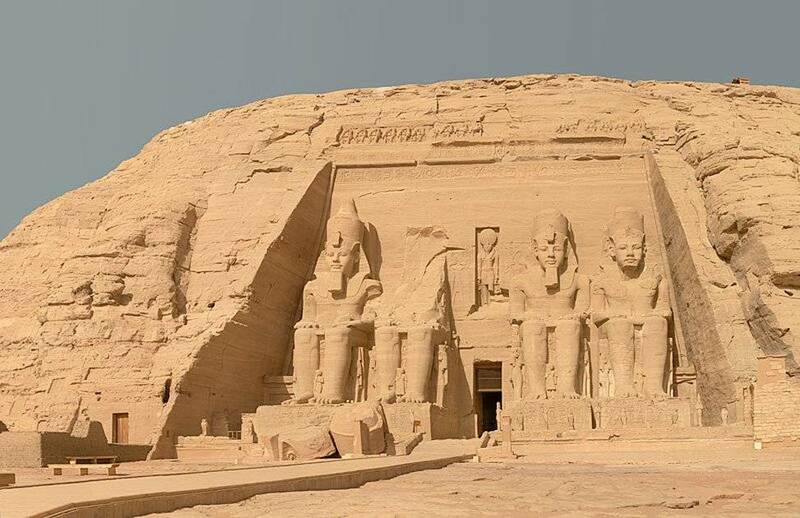 Abu Simbel is located around a 3 hours drive south of Aswan. Arrival Abu Simbel at 7:00 am. Start your tour by visiting the colossal Temple of Abu Simbel built by Ramses II (XIXth. Dynasty) and lately saved from inundation of the Nile waters in among the glories of ancient Egyptian monuments. The temples were built out of a sandstone rock cliff, and representation of the deities to which each was dedicated is carved on its huge façade. Nearby, also saved, lies the small Temple of the King's wife Nefertari, dedicated to the goddess Hathor. At 12:00 you will be transferred back to your hotel in Aswan or to Aswan Airport.